In the Northern Hemisphere we are flooded with information and entertainment from just a few media centers. Each country hears their own stories dosed with a big helping of Trump, Putin or Xi Jinping. But what if I told you a large part of your future depends on what is happening right now in Australia? Yes, Australia. That is where the great coral nursery of ocean life is dying. Australia is also the country committed to shipping killer coal to Asia. Australia hopes to become the source of meat for billions of people in Asia, which could be good or bad news for the climate, depending on how it’s done. On top of all that, Australia with its extreme weather events may be the leading example of what we will all experience, as climate disruption increases. So let’s tune in to what the nightly news in northern lands never covers. Our guide will be green radio host Vivien Langford. Vivien and her radio mates don’t just sit back and read corporate press releases. They dig, they find the right scientists, and activists. They make important radio for the Melbourne Community radio station 3CR, with their show Beyond Zero. In June 2016, I interviewed the world’s greatest coral expert, Charlie Veron. It was one of the saddest times I’ve experienced on radio. He told us the Great Barrier Reef was dying. Vivien gives us an update for this year. There has been yet another round of severe bleaching again this year. According to scientists, the cause is what could be described as a heat wave in the oceans surrounding Australia. Australians love their great reef, and love the tourist dollars it brings. Many citizens are protesting about this, as they can, but the government has given no plan to save the Great Barrier Reef. 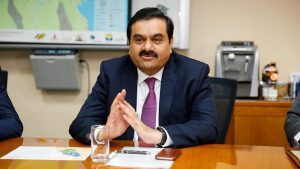 In fact, the Australian government is going the other direction, offering at least a billion dollars in infrastructure to enable the Adani company from India to build (a) the world’s largest open pit coal mine and (b) a coal ship loading terminal right in the area of the Barrier Reef. Australia’s coal will add greatly to global warming, making the oceans still hotter, leading to more death of the corals. Scientists on Radio Ecoshock told us up to 25% of all ocean species spend at least part of their time in the coral nursery. Plus, Adani and Australia risk the constant traffic of coal ships through the reef, and a high possibility of grounding and coal spillage. It’s an ecological tragedy all around. The Aboriginal people of Australia, called “the traditional owners”, are dead opposed to this Adani coal project. Groups like Greenpeace Australia and GetUp! are fighting off the coal surge. There was a “Stop Adani Road Show” which toured Eastern Australia this Spring. One of the inspiring speakers was Dr. Vaishali Patil- the Indian Anti Coal Campaigner. Not that it’s going that much better with “natural” gas. A giant company called Santos is trying to make Australian gas like the Saudi Arabia of the southern Hemisphere. Vivien reports that at an annual general meeting, the Santos people told shareholders they assume 4 degrees C. of warming will happen! Four degrees is a planetary disaster, but that’s part of business planning I guess. In a recent Radio Ecoshock show, I ran a brief clip of an interview Vivien Langford did in Malaysia. She attended an energy efficiency conference where Danish companies were helping the state of Melaka reduce energy use in hospitals and big public buildings. Back home she heard more about this from Thinxstra, who are using the internet of things with cheap sensors and monitors to take energy efficiency to over 60 countries, using “the internet of things“. That energy efficiency could help us avoid a total climate melt-down as the rest of the world seeks to develop. This is stunning. Just a decade ago the World Bank and national governments were funding development with the same infrastructure and engines used by all the developed countries. Everybody was going to be America, Europe or Australia all over again. Now we know the world would be wrecked if that happened. But there is an alternative. While in Malaysia, Vivien decided to use her radio talents to record Suresh Kumar who is a forest activist from the Socialist Party of Malaysia. They are fighting off massive logging, and the palm-oil plantations that follow them. It’s a difficult fight and they can use any international friends they can find. Malaysia also needs to stop the draining of peat lands. In the winter of 1997-1998, Indonesia shot up to become the third largest source of greenhouse gas emissions due to the combination of deforestation and burning peat. Vivien tells us Malaysia does have environmental laws that can help, so long as they can overcome illegal logging. It doesn’t help that environmentalists in Malaysia do not have the freedom to speak, and can’t get their stories in the press very often. At least one has been jailed for speaking up. Mind you the press in Australia is having difficult times too. Most of the newspapers and TV channels are owned by right-wing billionaires. The best chain still publishing fair news about climate change is the Fairfax Group, which owns the Melbourne Age and the Sydney Morning Herald. But they are under pressure due to advertising loss, as the internet impacts newspapers all over the world. Australia’s two best papers had to lay off more than a hundred staff, and at the time of this interview, the journalists were out on strike. So it’s a hard time to get climate news out there. Thank goodness for community radio! Vivien tells us about a film released on an Australian forestry compliance officer killed by a land-owner, merely for showing up to enforce environmental laws. The film is called “Cultivating Murder“. She also recommends the work of another journalist, Claire Westwood writing about food security in Asia. We know that a few billion people are starting to change their diets to add more animal protein. That could kill off many wild species. But it will really stimulate the mass production of beef in Australia. There are already more cows than humans on this planet. So let’s get into the controversy of whether even more will kill off the climate or save it. Vivien lays out some the negative impacts of more beef from Australia to feed the world. From the climate perspective, a big one is the amount of methane released by livestock, due to their digestion system. Surely a few animals in Australia can’t matter that much? Try 26 million cows, and 74 million sheep! Alan Savory has been on Radio Ecoshock explaining how properly managed herds can help the local environment and help the climate. He says with proper herd management, cattle can capture carbon from the atmosphere and store it in the soil. There are two problems with the Savory method. The first is the lack of scientific testing and proof of this method. Savory is one of the few. The second is that Australian ranches are not even close to intensive animal management. They can’t control how the cows or sheep feed. Some outback ranches are so huge the farmers only see their animals in a helicopter fly-over. They are mostly eating dry scrub, and certainly aren’t getting any seaweed that could perhaps reduce their methane emissions. Plus, remember the Savory method has no plan to reduce methane from the animals. Personally I’m torn on this issue. There are big problems with using cattle in a climate positive way, and yet there are so few other methods that even hope to capture carbon back into the soil on such a large scale. Find my blog about all this, with my Alan Savory interview, here. Meanwhile Australia has a system of carbon credits for farmers. But that system is open to some abuse. Other Australian farmers sell carbon-offsets to Europe. A German car driver may feel confident their gas emissions are balanced by a reduction in an Australian farm – but is it really? I’m doubtful that whole scheme works. Vivien says the most balanced book she’s found was by Eric Toensmeier with his book “The Carbon Farming Solution (2016 Chelsea Green). He is in Massachusetts. In his book Eric suggests silviculture, combined with cattle, could be the best way to capture carbon in the tropics. Due to time limitations, we kept our cattle conversation to climate impacts. But cows do more – check this out. CAN A TROPICAL TREE HELP? 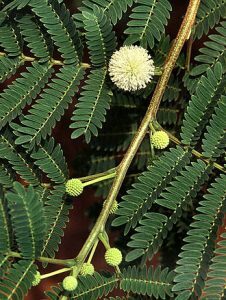 Very few people know about the plant called Leucaena, even though it has become a pervasive weed tree in many parts of the world, including the southern United States. There is a plan to capture carbon by growing Leucaena. The cattle can eat it if they get an innoculation which overcomes the toxicity of the leaves. Meanwhile the edges of the fields can also have Leucaena, which grows into trees if not munched down. That can be used for fibre or firewood – but the best part is the growing Leucaena captures lots of carbon. Even the part that is eaten by the cattle leaves carbon in the roots underground. One question: how can the Leucaena tree in Australia be prevented from taking over, like another version of the introduction of rabbits? Vivien has been trying to work on the cattle versus climate problem in Australia. It’s very sensitive there, as the meat industry is huge, with a lot of power in both politics and the media. She just interviewed a scientist with CSIRO, the respected Australian research agency. But he was all for expanding the Australian national herd to feed Asia. The idea that we will create cow planet is a bit chilling to me. It certainly is a hot button topic, especially after the movie “Cowspiracy” directed by our Radio Ecoshock guest Kip Anderson. Vivien found a way to inject some hope in this old climate dog. Remember, she says, that the people of London experienced terrible bombing, day after day. In those dark days, when Hitler had conquered the rest of Europe, the Brit could not know if they would survive the war, much less win it. But they did. Perhaps the climate shift seems hopeless now. But maybe there are new developments and a way to keep the Earth habitable, even though it seems impossible now. As Vivien says, no one knows when we are in the middle of a cultural shift. Vivien has been part of the team creating the Australian Radio Show “Beyond Zero Emissions” for the past six years. I know how demanding that can be! Beyond Zero Emissions is also a non-profit environment group which strives to work on solutions to climate change. Melbourne is the second largest city in Australia. 3CR Community radio serves Melbourne, and the world via the past programs available online. Radio Ecoshock is also broadcast on 3CR 855 AM. 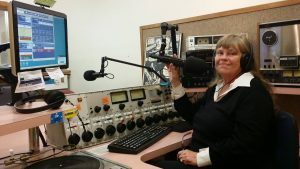 We’ve been talking with the green radio host down-under, Vivien Langford from 3CR Community Radio. Find past shows on their web site. You can listen right online, or download the programs for free. Don’t miss the show broadcast May 7th for the meat issue we just talked about. It was a great pleasure to talk with Vivien!